Why is the Honda Clarity Plug-in Hybrid KBB's Best Buy Award winner for hybrid and electric vehicles? Now, Kelley Blue Book seems to feel the same. Not long ago, we shared KBB's 2018 Hot Plug-Ins Hybrids. The Clarity impressed with its roomy cabin, high horsepower, adequate acceleration, “normal” sedan size and feel, great regen, and standard 8-inch touch screen with Apple CarPlay and Android Auto. Moreover, it qualifies for the full $7,500 federal EV tax credit and offers 47 miles of EPA-estimated electric range. It comes as no surprise that KBB picked the Honda Clarity Plug-in Hybrid over all other hybrid and electric cars for its overall value. The 2018 Honda Clarity isn’t just one car model, but the name for a trio of ultra-efficient sedans, each powered in a different way. 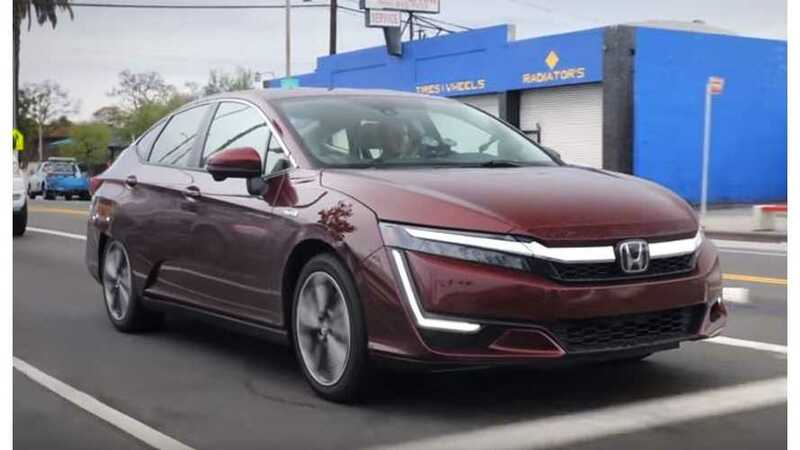 The Honda Clarity Plug-in Hybrid was named the Kelley Blue Book Best Buy Award winner among electric and hybrid vehicles. Here's why.